Just over a week since my last entry and no filming during that time due to inclement weather and lack of subject matter. The last week has seen a big exodus of Swallows and on one morning forty two Meadow Pipits were feeding on one of the fairways on the Golf Course. Green Woodpeckers are still present on the course but there is no way of bringing them in front of the camera as they are feeding on ants all over the course. Jays are everywhere at the moment with two starting to feed in our garden. More and more birds are coming into the garden with a maximum of thirty one House Sparrows and a garden record of twelve Goldfinches during the last week. I received a report today of a Goshawk catching and eating a Jay in a garden a mile down the road from me. Whilst nine times out of ten it would have been a female Sparrowhawk the description was definitely a Goshawk. The highlight of the week has to be the arrival of two Redwings today. It never ceases to amaze me how year after year the first ones come on or about 30th September. A week of north winds have meant they have arrived a day early! I wouldn’t expect to see any Fieldfare for a good two weeks but it depends on the wind direction. After some good late Summer weather there has now been a change and in the last week we have had two days of heavy rain. Filming has ground to a halt with the party of Kingfishers I was working on now dispersing and proving illusive and despite baiting the foxes none have appeared when I was ready to film. The only good news is that two Green Woodpeckers have been around for the last couple of weeks and hopefully may stay to breed next year. The last brood of Swallows has now fledged from the Golf Club after the most successful season ever. 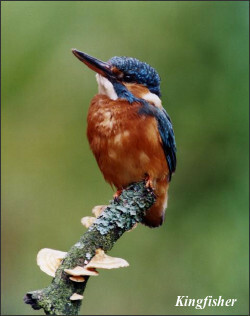 At least fifty young have been reared at the Golf Club and whether they make it to South Africa and back for next year remains to be seen. 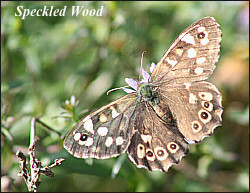 It continues to be a poor year for butterflies, with Speckled Woods being the most numerous at present with the odd Peacock and Small Tortoiseshell feeding on Scabious. Birds are now returning to our garden, with a maximum of twenty three House Sparrows, nine Goldfinches and three Wood Pigeons. A female Sparrowhawk appeared briefly. 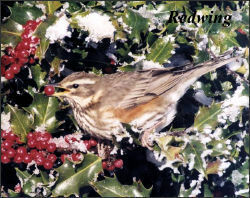 If the wind moves to the North then we can expect the first Redwings to appear with Fieldfares following early next month.